Promoted Shrewsbury Town have signed defender Mat Sadler on a two-year contract. 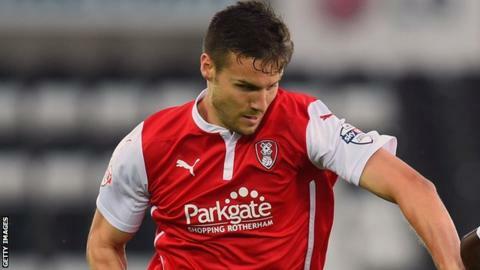 Sadler was released by Rotherham after featuring just once for the Championship club since signing from Crawley at the start of the season. The 30-year-old made 53 appearances for Shrewsbury during a loan spell at the club from Watford during the 2010/11 campaign. "It's really good to be back," he told the club's website. "I want a promotion with Shrewsbury and what better place to do it than from League One up to the Championship. "I've played a lot of games in this league and that is definitely one of the remits for the manager this summer - to bring in a few lads who have got experience of the division. "Knowing the division as I do, I'm sure that we have nothing to fear at all."